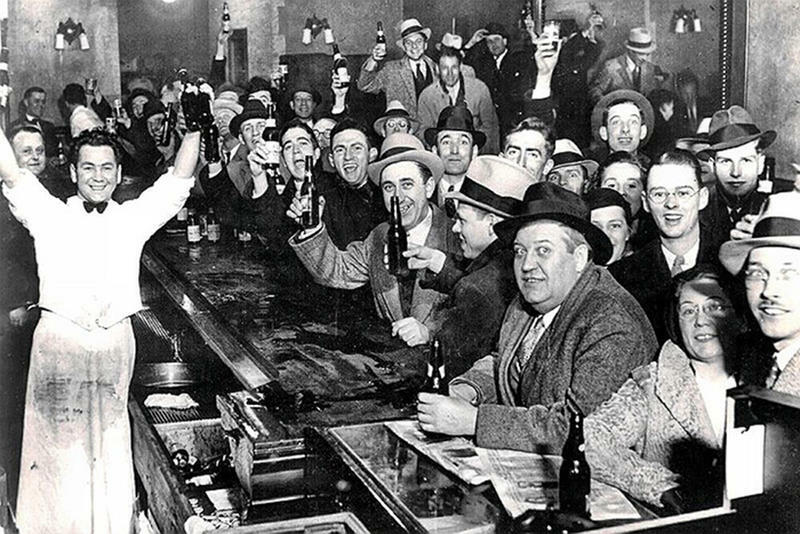 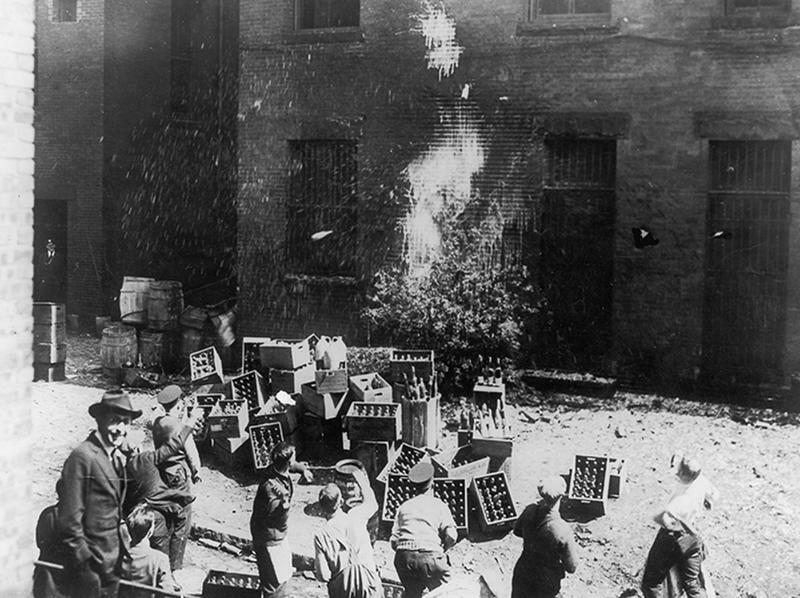 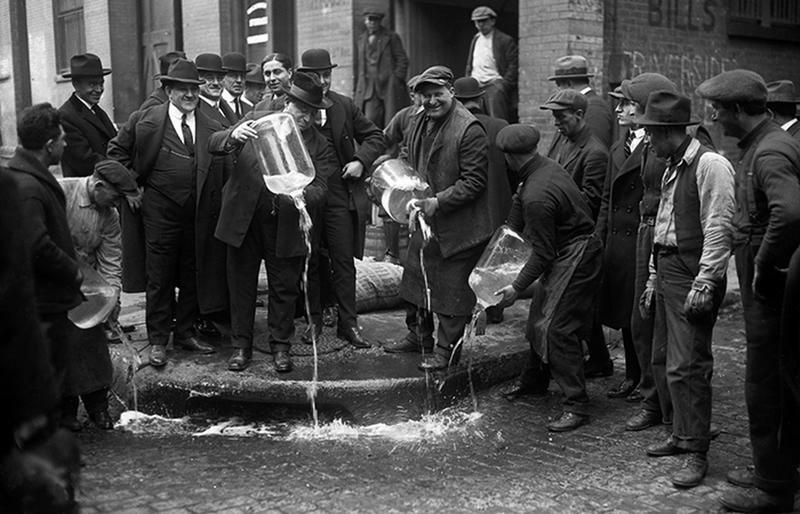 On January 16, 1920, hundreds of booze-loving Americans took to the streets to buy their last legal drinks from liquor stores and bars. 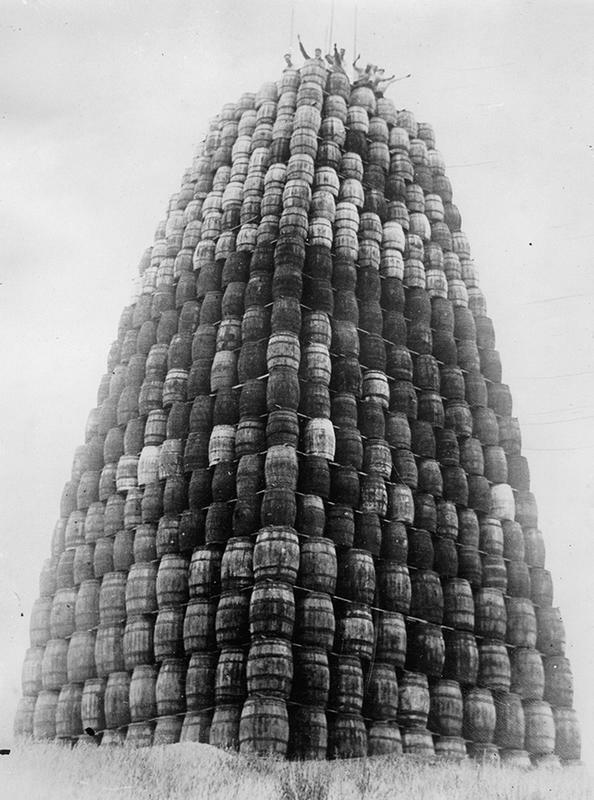 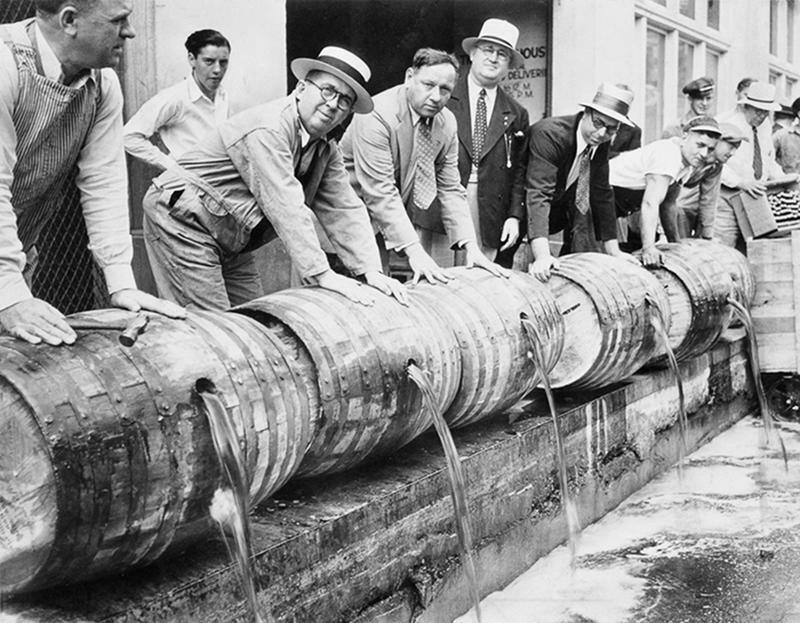 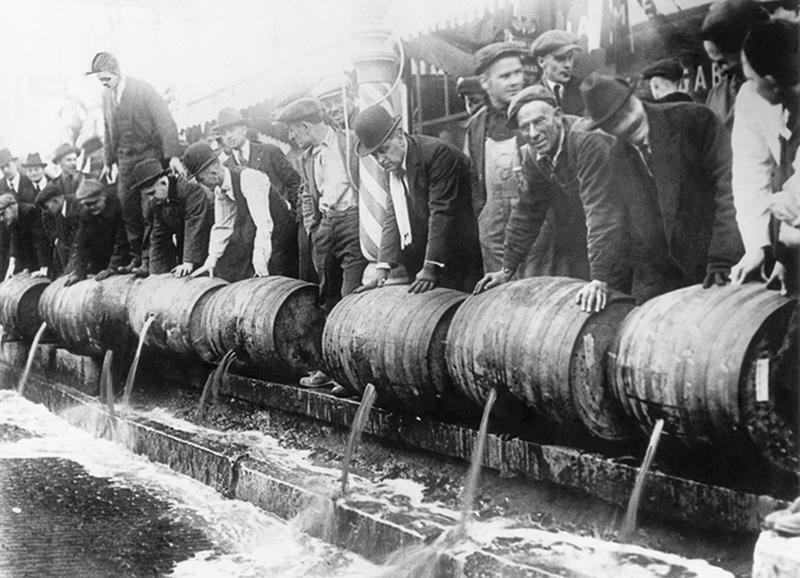 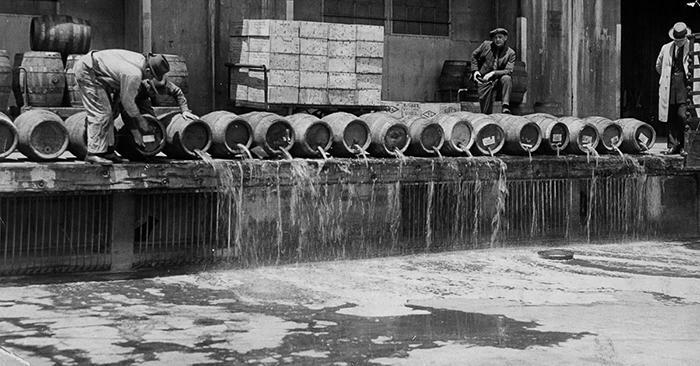 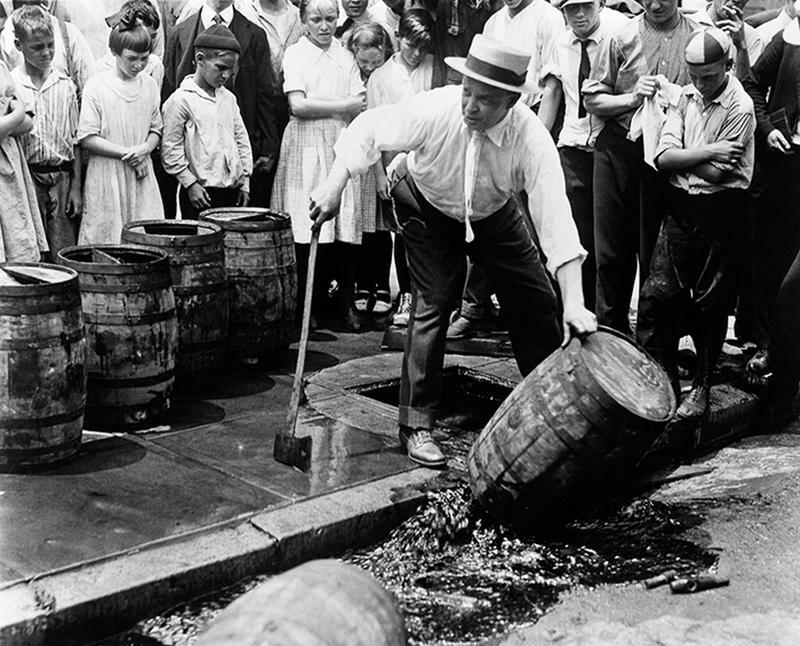 The United States officially became a “dry” country the next day, when the 18th Amendment banning “the manufacture, sale or transportation of intoxicating liquors” went into effect. 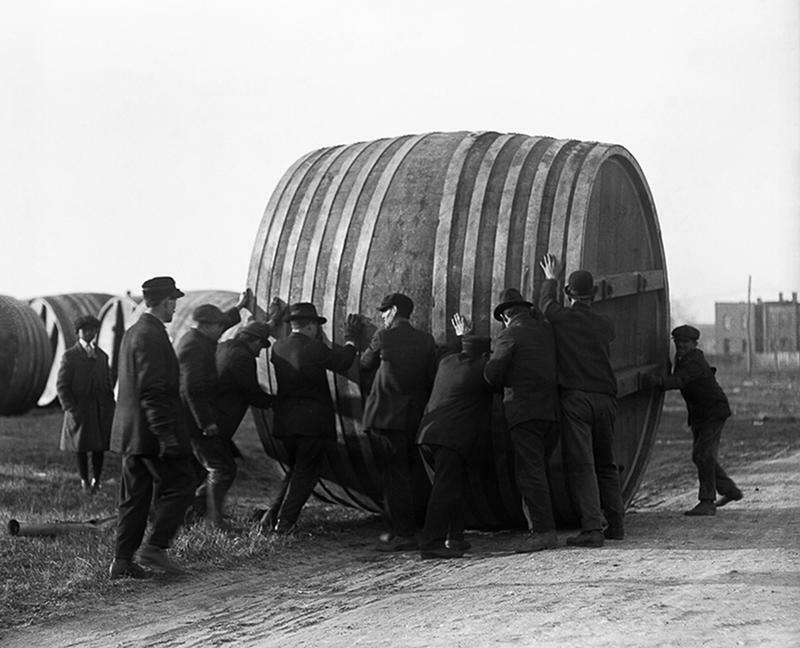 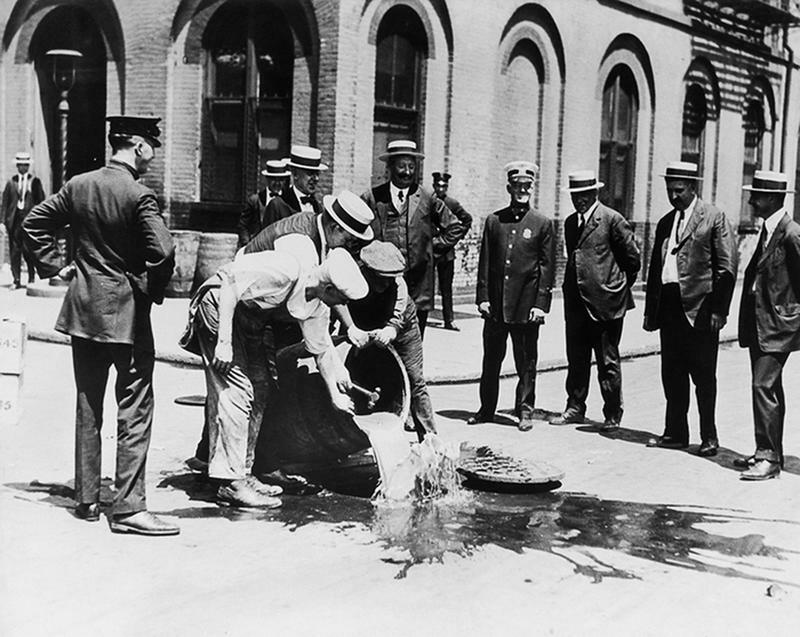 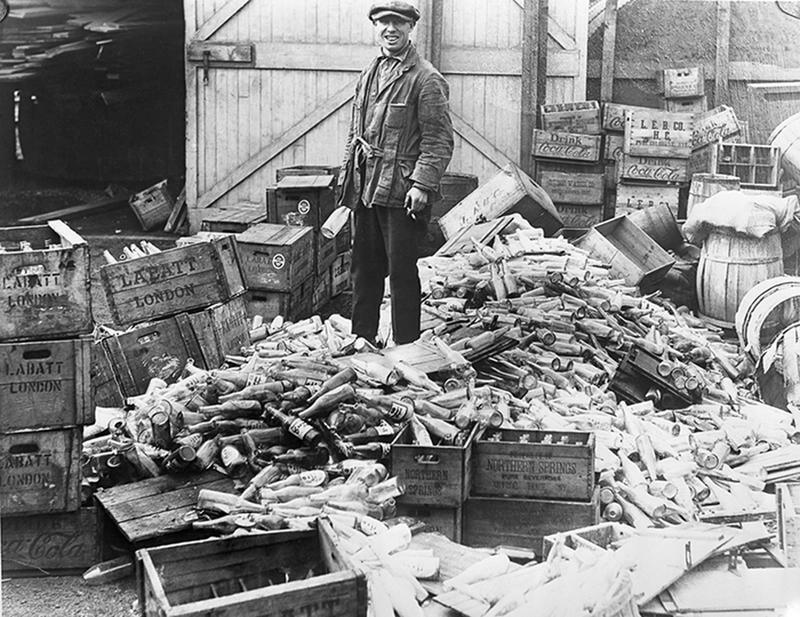 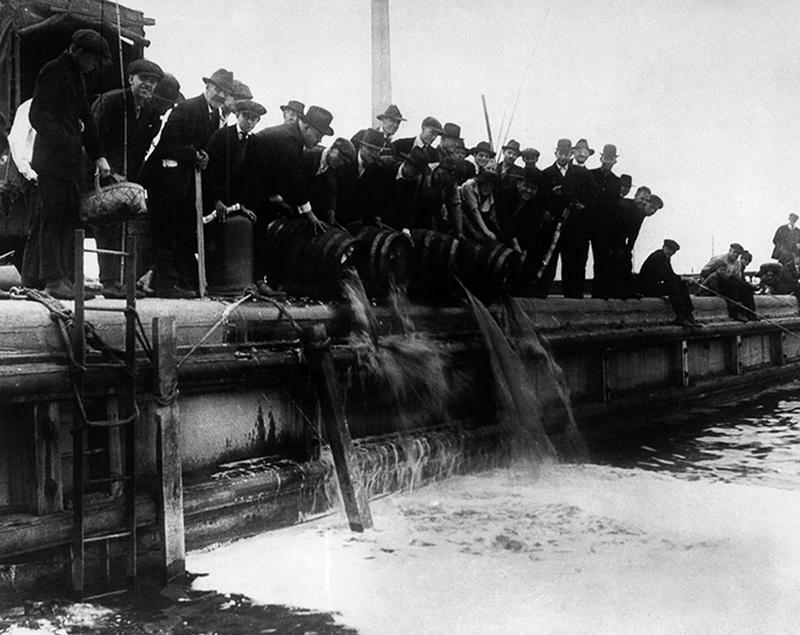 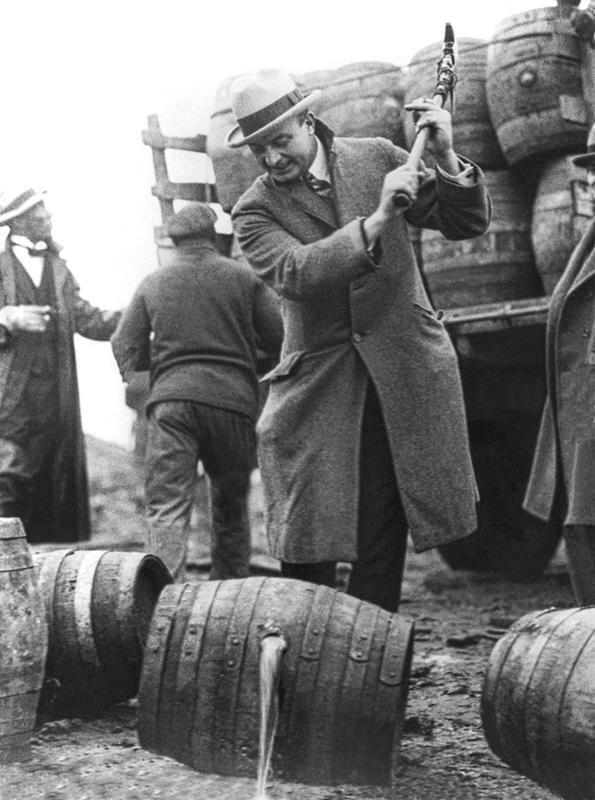 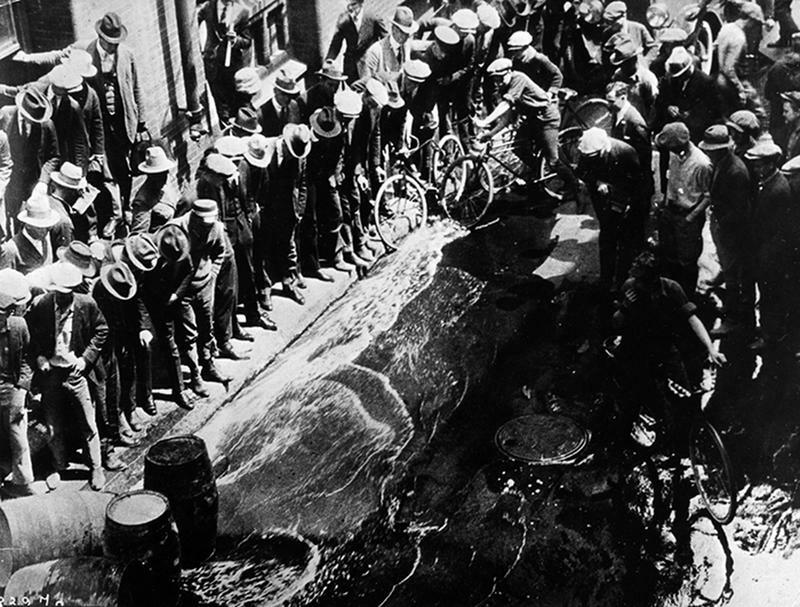 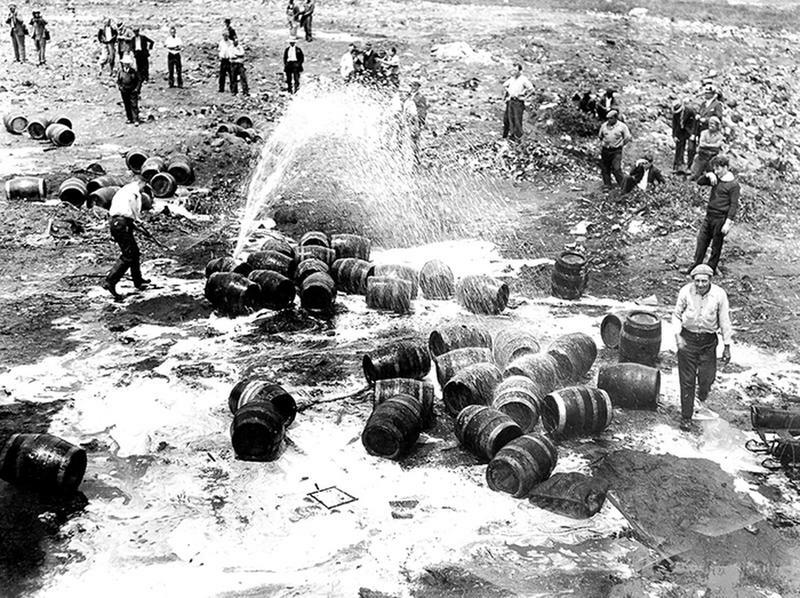 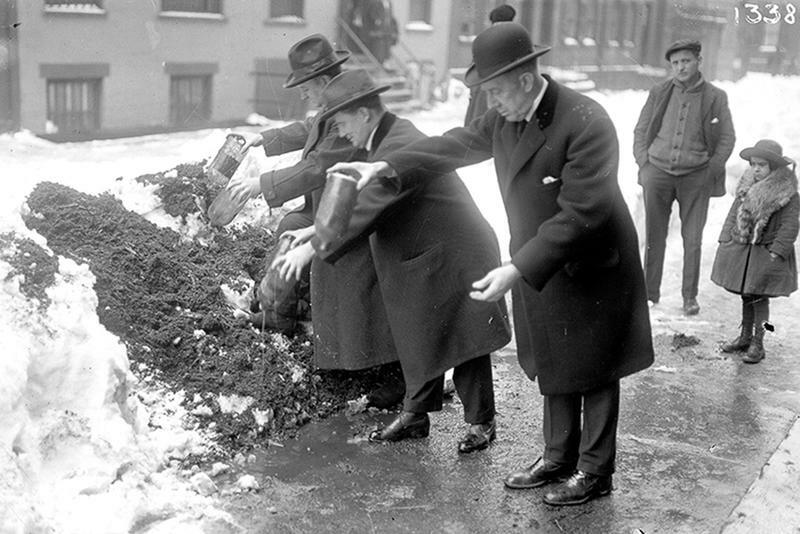 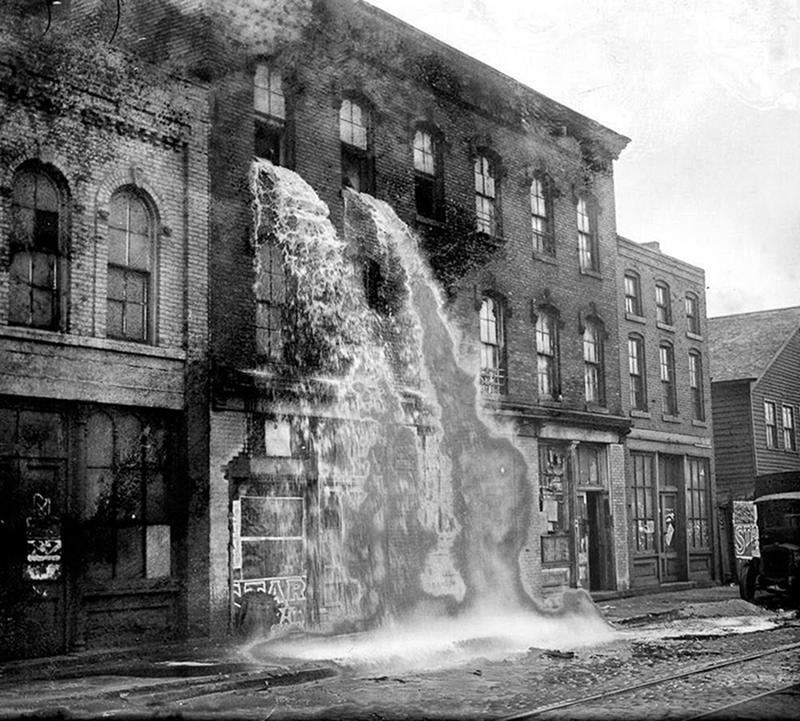 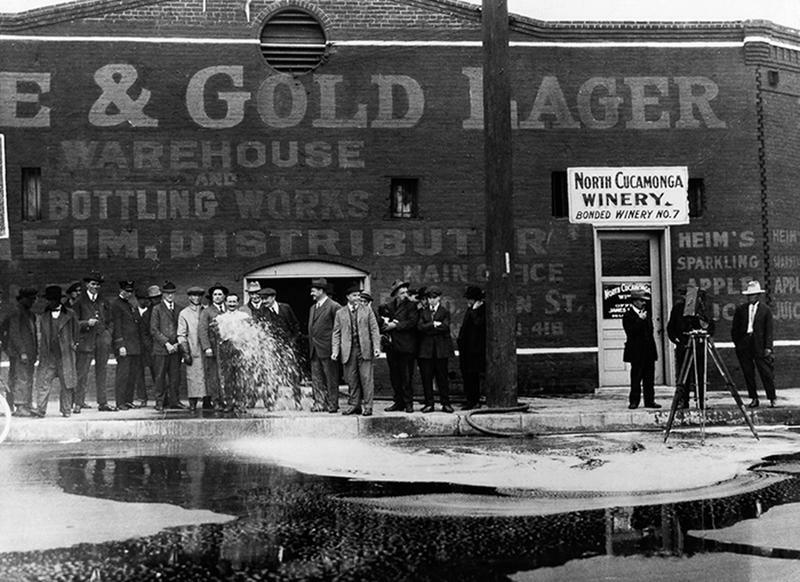 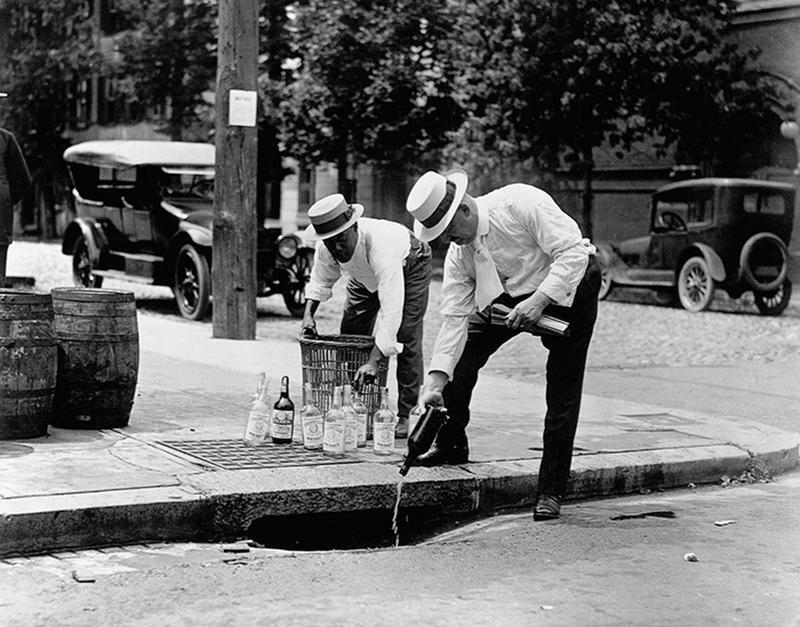 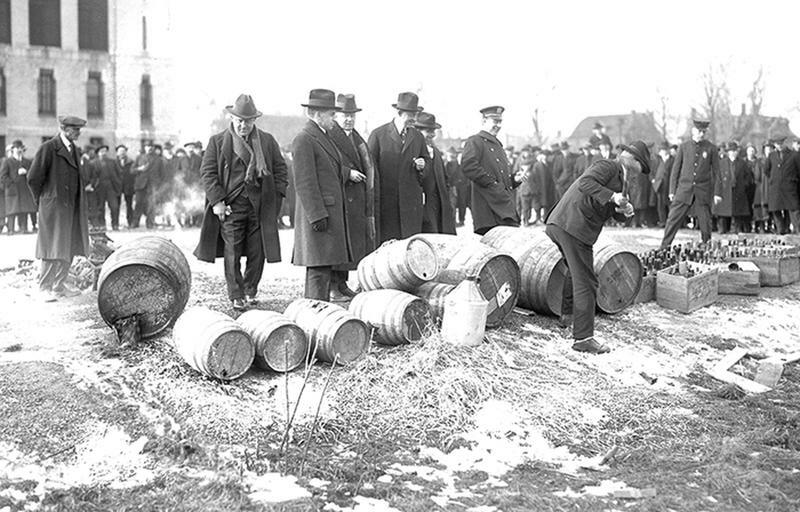 Here, prohibition agents are seen dumping or destroying seized liquor in public. 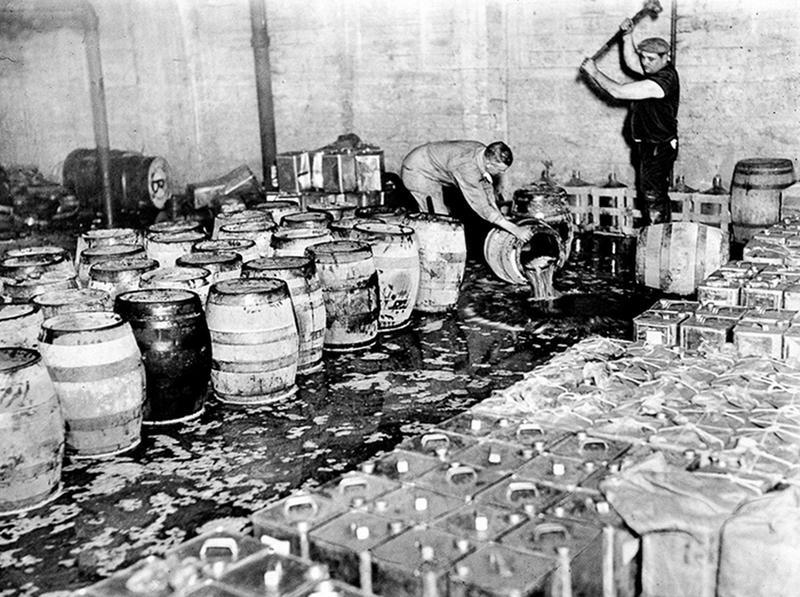 Warning: This content may be disturbing to some readers, especially the booze-lovers. 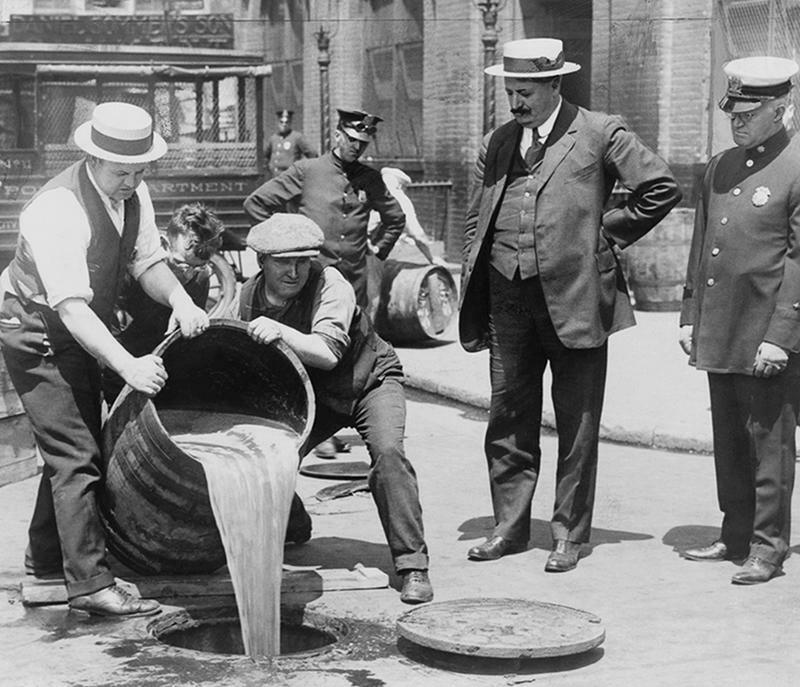 Originally intended to prevent drunkenness and crime, it soon became clear that Prohibition did just the opposite, as speakeasies began popping up and bootlegging essentially led to the establishment of organized crime in the country.